This year in 2017 Intersec Dubai, Yudor will be demonstrating the entire solution. Ranges from real application in the construction site, large hotel chains, public shopping malls, and massive public transport systems, Yudor provides you the exact cost and performance solution for your needs. From 4K2K resolution to exquisite H.264+(H.265) compression, Yudor offers more advantage to more clear and finer pixel for our partners. Intelligence software combing facial detection, people counting, and intrusion protection, we make triple secure for your proverty. 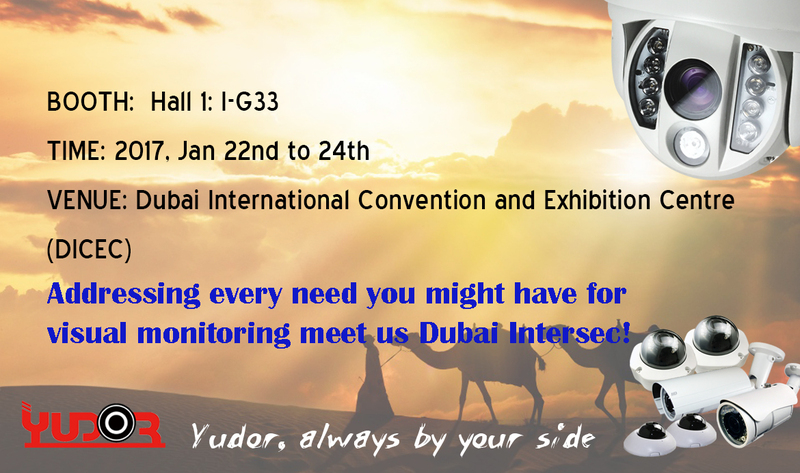 Please come visit Yudor in Dubai Intersec 2017 at Hall 1 booth I-G33.